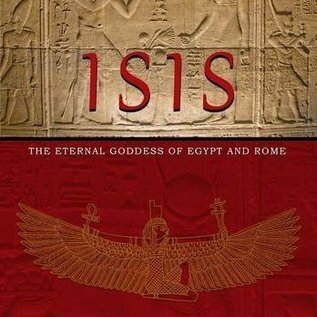 Isis - the Eternal Goddess of Egypt and Rome is a thought-provoking study of one of the most enduring and enigmatic ancient goddesses. The Egyptians knew her as Aset and wrote her name with the hieroglyph of a stylised throne, emphasising her association with royalty and kingship. Isis was the wife and sister of Osiris; mother of Horus and sister of the mysterious goddess Nephthys; she was also known as a great magician, healer and associated with events of cosmic significance. Throughout the millennia of her worship she held many roles, evidenced by the many temples, symbols and writings left behind by her devotees. Her worship spread beyond Egypt, before the Greek conquest, as diplomats, merchants and other travellers who spent time in Egypt spread her cult overseas. 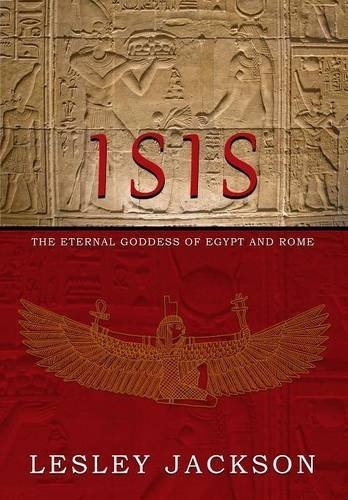 From the Isis of Old Kingdom of Egypt through to the All-Goddess of the Greco-Roman period and beyond, the worship of Isis grew in importance and diversified. She gained powers from the strong Greek influence in Egypt but also kept all those she already had, becoming a beneficial Goddess of nature, a Saviour and to many the sole Goddess. In this extensive work the author Lesley Jackson draws on the primary written sources of information on Isis, being the texts of the Ancient Egyptians and those of the Classical writers, to present the most comprehensive presentation of her worship to date. Her beginnings, her birth, her place of origin, her names, her attributes, her iconography, her relationships, her symbols (including the ankh, tyet, sistrum and situla) and the development of her cult are all carefully considered.